June 28, 2013. At a public meeting last evening, New York State Senator Carl Marcellino explained the LIPA reforms recently passed by the state legislature and an agreement between LIPA, the legislature and Governor regarding the reduction of the utility's tax payments to school districts like North Shore. The meeting was organized by the Glenwood-Glen Head Civic Asssociation and held in the North Shore High School auditorium. The event was emcee'd by Civic Association President and outgoing School Board Trustee George Pombar, and about 40 people were in attendance, including Schools Superintendent Ed Melnick, Asssistant Superintendent for Business Olivia Buatsi, School Board President Carolyn Genovese, School Board Trustee Amy Beyer, and School Board Trustee-elect Sara Jones, as well as two school district attorneys. In addition to Pombar and Marcellino, Assemblyman Edward Ra and an unintroduced advisor to Marcellino sat at the dais. At the meeting, Carl Marcellino explained that under an agreement between the legislature, governor and LIPA, beginning in 2014-15, LIPA's tax payments to the district would decline at an average rate of 5% per year over a 10 year time period. During the first year of the decline, the utility's obligation would be reduced far more greatly than in subsequent years. In addition, the utility would end its efforts to recoup past tax overpayments it claims it has made to districts. The loss in revenue to the district would likely result either in massive cuts to programs in the North Shore schools, or the tax burden would be picked up by residential, commercial, and industrial taxpayers. Marcellino disputed earlier press reports that stated that the tax reduction for LIPA would be 10% per year. School Districts and other local governing bodies will have 4 months to accept the offer. Marcellino strongly recommended that local governments accept the deal. Districts could however refuse the offer and roll their dice in court. LIPA contends that it has made tens of millions of dollars in overpayments to North Shore and other districts such as Port Jefferson and Northport, and as a result has initiated several tax certiorari claims. The utility has to date not succeeded in any of its lawsuits. During the question and answer segment of the meeting, School Board President Carolyn Genovese stated that under the current proposal it was possible that district taxpayers would see in the first year a 19% increase in their taxes on the tax burden shift alone - far greater than the five percent that the Senator had stated in his presentation. This would amount to a $2,175/year tax increase on a property assesssed at $750,000. Marcellino replied that he did not know the exact figures. Audience members asked several questions following Marcellino's presentation. One gentleman asked if the agreement was written in stone and whether or not it could be changed in five years. Marcellino replied that he "could not guarantee what would happen in the next five years just as he could not guarantee what would happen in the next ten minutes." Another resident raised the issue of the likely contamination of the site and the environmental clean-up that would be required. Marcellino agreed that the site was likely unusuable for other purposes for many years to come but stated he did not know the level of contamination. 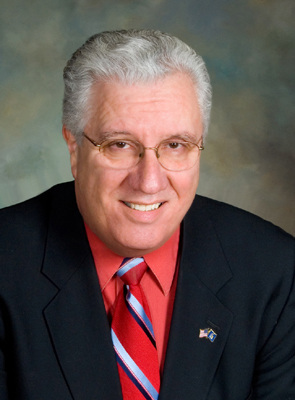 As the meeting neared its conclusion, Pompar thanked Senator Marcellino for his efforts on behalf of the community and expressed hope that, just as he was able to get a $2 million appropriation out of the Senate to lessen the burden on residents in the first year of the tax shift, he would work hard to win similar commitments in subsequent years.